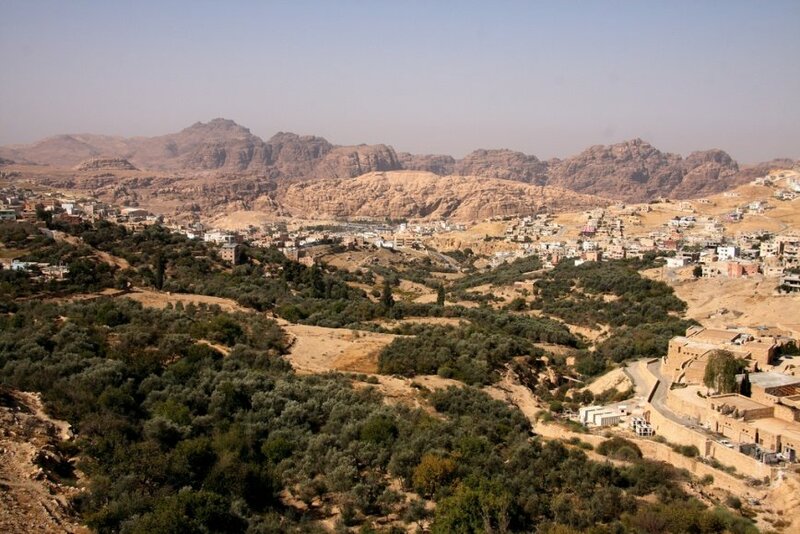 As the limited water resources in Jordan are used to meet the demands of the rapidly growing population, water shortages are becoming a daily reality for many and surface and groundwater resources are increasingly threatened with depletion. At the same time, water quality is also deteriorating. As mentioned above, water quality in the Lower Jordan River and the Zarqa Rivers has severely deteriorated over the last 50 years and the water from these rivers is no longer fit for human consumption. For example and as discussed in ‘Water Resources’, the flow of the Jordan River is constantly decreasing because of upstream abstractions. At the same time, untreated wastewater and agricultural fertilizer runoff continue to enter the Jordan River upstream from Israel, the West Bank and Jordan, which affects the quality of the relatively small amount of water that is left. Another example is the contamination of the Zarqa River from industrial discharges and illegal dumping of sewage, the illegal extraction of concentrated wastewater by farmers for use on crops, and the runoff of fertilizer back into the river from these farms. The quality of groundwater is also decreasing, mainly due to overpumping, which often leads to increased salinity. “About 70% of spring water is biologically contaminated. Water resources have a significant level of toxicity. Industrial discharges are improperly treated or untreated. Overabstraction of groundwater for irrigation has reduced the water table by 5 m in some aquifers and tripled salinity. These alarming findings highlight the need to address water quality issues throughout the country at all levels and in all sectors. The issue of water quality is both simple and complicated. It is simple because the causes are acknowledged and measurable. However, addressing these issues and finding a way to limit the negative impact on the quality of both freshwater and wastewater resources remains a complex challenge for the government. Effective treatment of biological and other toxic contaminants at the source. Better regulation and/or enforcement of industrial wastewater treatment before discharge, and control of crop fertilization materials and volume. Preventing overextraction of groundwater resources. One of the long-term strategies is to increase controlled quality freshwater supply through the Red Sea-Dead Sea Project (see ‘Current and Planned Infrastructural Projects‘ and the Special Report). See ‘Water Management‘ and ‘Reducing Water Use‘ for more measures being taken to improve water quality. To understand the complexity of these challenges, it is interesting to look at the Ain Ghazal wastewater and sewage collection and treatment system that was established by the government in the 1960s near Amman. Ain Ghazal was designed to serve 300,000 individual households and around 60,000 m3 per day of wastewater, collected via a sewage network built throughout the city. Today, the treatment system is heavily overloaded for different reasons including the rapid population increase, which has resulted in higher levels of wastewater production. Moreover, treatment methods at the plant are outdated and no longer adequately treat the water. The result is that water treated at Ain Ghazal is of poor quality, which in turn affects surface and groundwater resources near the plant. In 1985, the government built stabilization ponds at the al-Samra treatment facility as a short-term measure to improve the quality of the treated wastewater, until a long-term solution could be found. However, plans changed and these stabilization ponds have been updated instead of developing any sustainable long-term solutions. Thus, as wastewater has not been reduced at the sources, and no additional treatment capacity has been added, most of the existing plants continue to be overloaded with wastewater, and overrun in comparison to their designed capacities, resulting in an unacceptably low quality of treated wastewater. As of 2013, Jordan had 30 wastewater treatment plants (WWTPs) where an annual average of 102 MCM of wastewater was collected and treated for reuse in agriculture. The number and capacity of treatment plants has doubled since 1993, when 14 WWTPs treated an annual 50 MCM. View over Wadi Musa and Petra, Jordan. Photo: Jamiembrown. Mohsen, M.S., 2007. ‘Water strategies and potential of desalination in Jordan’. Desalination, 203: 27-46. Jaber, J. and Mohsen, M., 2001. ‘Evaluation of non-conventional water resources supply in Jordan’. Desalination, 136: 83-92. Bataineh, F. et al., 2002. Wastewater Reuse in Jordan. Water Demand Management Forum. World Bank, 1997. The Hashemite Kingdom of Jordan, Water Sector Review. Ministry of Water and Irrigation, 2015. Personal interview.